Very good little pouch but quality is not strong point. 1st one I bought few years ago wore well lasting 3 or 4 years but this 2nd one is only few months old and having zipper issues not expecting to last as long as first one, and not expecting to find a 3rd one. This handcrafted utility pouch from Castello is constructed of fine Italian leather. This pouch has ample room for your phone, passport and many other items. I have an older pay-as-you-go phone and it fits inside this pouch perfectly without a lot of movement. Quality leather, came gift boxed. Extremely pleased. 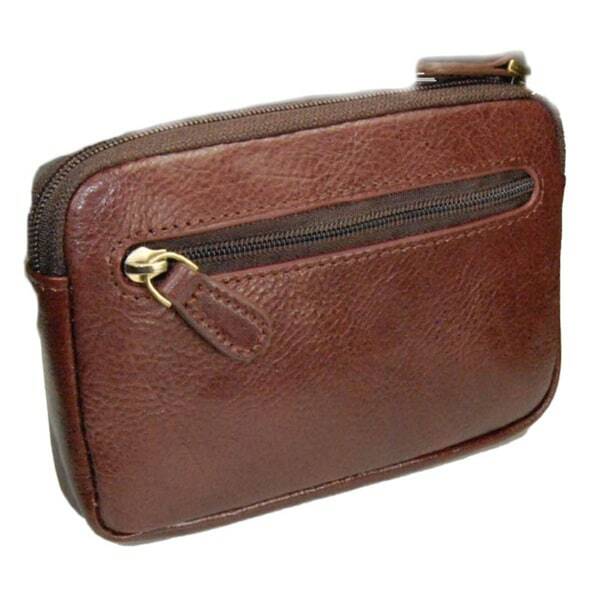 Nice color and quality, soft leather, good zipper to keep things secure, handy small purse for coins and for travelling to Europe where they use more coins in everyday life . I really love this wallet. I use it everyday. It is a good quality leather and was the perfect fit for my needs. I have nerve problems and can not carry a purse, so this little guy keeps everything I need. Soft, perfect size, best feature,it slides onto a standard belt. Carries a cell phone, credit cards handily. Very functional as a male coin and folded bills wallet.